Nothing feels very far in the past at these portals to another era. Engage all your senses as you see planes, a powwow, basketball’s founding documents and a subterranean world. Reflect on a milestone in the civil rights movement with a visit to a historic Topeka venue. At the Brown v. Board of Education National Historic Site, tour the former Monroe Elementary School, catalyst for the 1954 U.S. Supreme Court ruling that declared segregation in public schools unconstitutional. 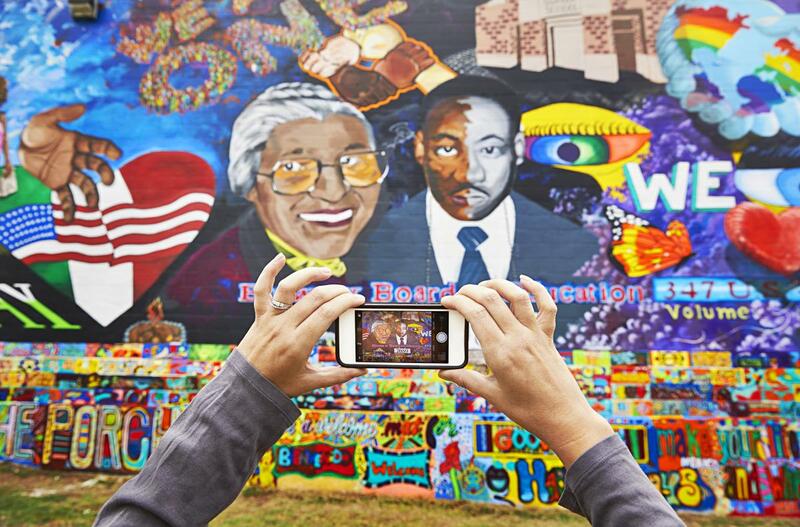 A re-created classroom offers interactive exhibits, and a new mural adjacent to the site depicts themes of equality and justice. In a room at the Brown v. Board of Education site, see one of the black dolls psychologists Kenneth and Mamie Clark used in the 1940s to study African-American children’s attitudes about race. Their research found the majority of African-American children saw the black dolls as bad and the white dolls as looking most like them. Slide into the cockpit of a U.S. Navy Skyhawk jet and check out the equipment aboard an AWACS radar plane at the Combat Air Museum in Topeka. The museum features 41 aircraft spanning the early days of aviation and the modern era. At the Design Build Fly aviation exhibit inside Wichita’s Exploration Place science center, kids can design an airplane seat, test landing gear or pretend to be a superstar climbing into an executive jet. Wichita has long been known as the Air Capital of the World, the place where aviation giants like Boeing, Cessna, Beechcraft and Learjet have built aircraft flown all over the world. The city still makes about 40 percent of the general aviation airplanes in use in the U.S. 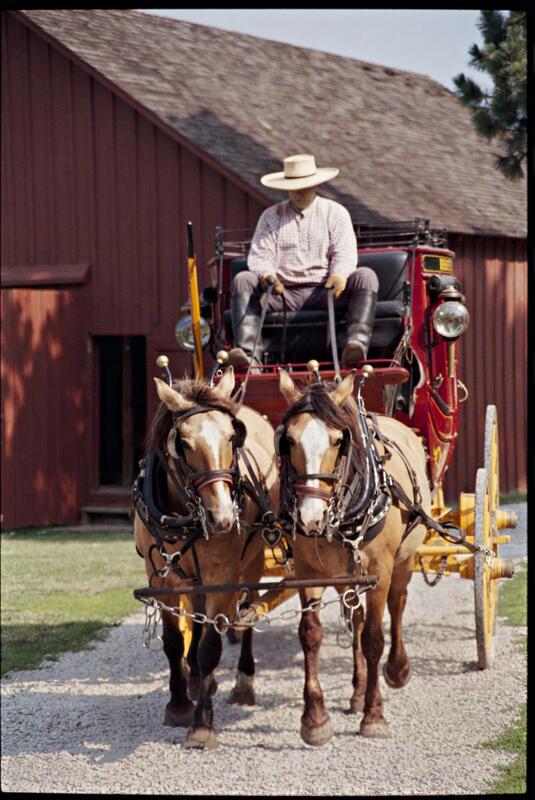 In stagecoach days, a vehicle’s horsepower meant just that. At the Mahaffie Stagecoach Stop and Farm Historic Site in Olathe, ride in a reproduction stagecoach and get a taste of 1860s farm life. Help with chores, see what’s cooking in the kitchen’s wood-burning stove and watch a blacksmith at work. It’s the Santa Fe Trail’s only working stagecoach stop open to the public. The “stage” in “stagecoach” originally referred to the distance between stops (typically 15–20 miles). Each coach traveled its route in stages, stopping at stations along the way for fresh horses, food and new passengers. Learn the shocking story of Bleeding Kansas, the brutally violent period in the 1850s when opposing political forces converged on the Kansas territory to influence its future—slave or free state. At the Constitution Hall State Historic Site in Lecompton, exhibits, experts and costumed reenactors take visitors back to the bloody pre-Civil War era. 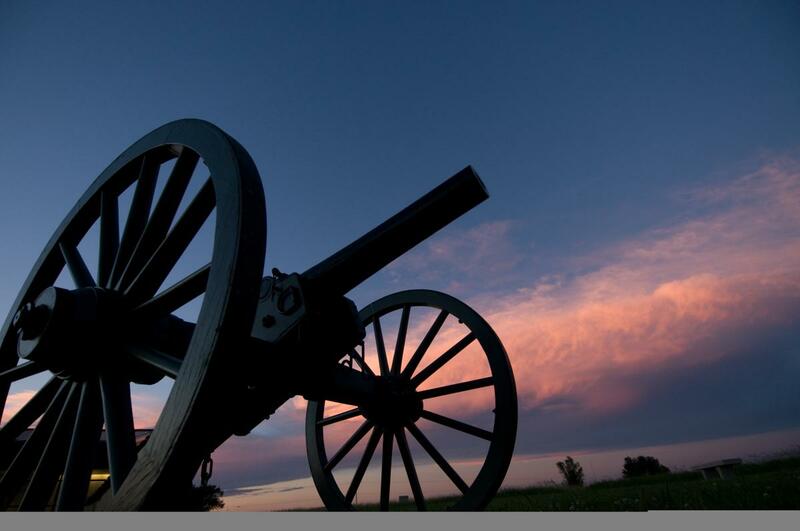 You can also visit the Mine Creek Civil War Battlefield State Historic Site north of Fort Scott, where one of the Civil War’s largest cavalry battles west of the Mississippi River raged across a prairie at the site. See weapons and uniforms from the bloody fight displayed in the visitors center. During the Civil War, Kansas was asked to supply the Union Army with 16,654 men. The new state (1861 population: 107,000) always met quotas quickly. In all, more than 20,000 men enlisted. Many native peoples lived in Kansas before statehood, with one tribe (the Kanza) inspiring the state’s name. The Arapaho, Cheyenne, Comanche, Kiowa, Osage, Pawnee and Wichita also called present-day Kansas their home. Today, four reservations—the Iowa, Kickapoo, Potawatomi, and Sac & Fox—are found in Kansas. Several sites provide ways to discover the history of native peoples. At the Pawnee Indian Museum State Historic Site near Republic, see an actual tribal village from the late 1700s. Archaeologists found a large earth lodge intact, including the rare sacred bundle that hangs above the altar. East of Highland, walk the grounds of the Iowa and Sac & Fox Mission State Historic Site, one of many such outposts established in Kansas during the 1800s. Presbyterian missionaries built the structure along the Oregon-California Trail. At the Shawnee Indian Mission State Historic Site in Fairway, tour where children from the Shawnee, Delaware and other nations went to school. In October, the site hosts a fall festival featuring music, food trucks and living history. 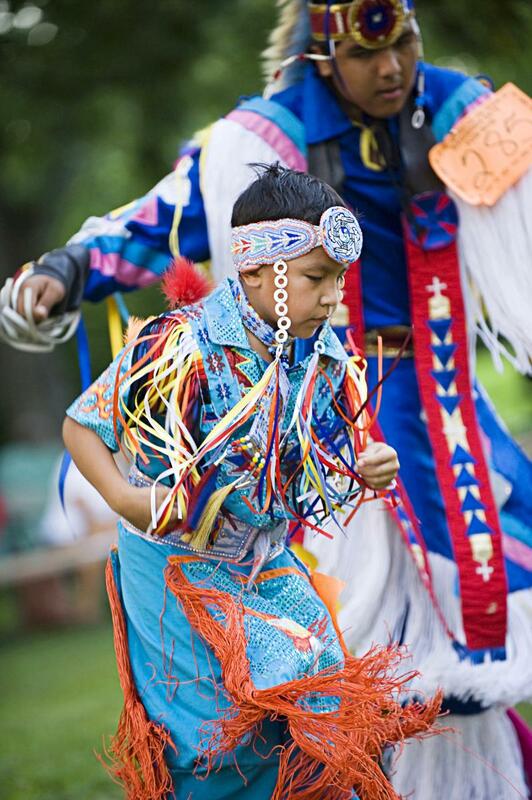 You can also celebrate at the annual Kaw Nation Washunga Days Powwow, part of the Washunga Days festival in Council Grove (once the site of a Kaw village). Dances and ceremonies (open to the public) take place at a special lighted venue in the tribe’s Allegawaho Heritage Memorial Park. Remains of North America’s northernmost pueblo (and the only pueblo in Kansas) lie at Historic Lake Scott State Park north of Scott City. Archaeologists think the seven-room pueblo is part of El Cuartelejo, a Plains Apache village mentioned in 17th-century Spanish accounts. Taos Indians fled there in 1664 to escape Spanish rule. Normally, the only women who visited the Ellinwood tunnels were those the Victorians called “soiled doves”—prostitutes. A slam-dunk hit with sports fans, the Booth Family Hall of Athletics in Lawrence showcases the history of University of Kansas athletics, especially basketball. Interactive exhibits at the museum (adjacent to KU’s iconic Allen Fieldhouse) let you compare your “wingspan” to that of basketball greats, or pretend you’re a sportscaster. At the DeBruce Center (also adjacent to Allen Fieldhouse), see the Original Rules of Basket Ball by James Naismith, the game’s inventor and KU’s first basketball coach. 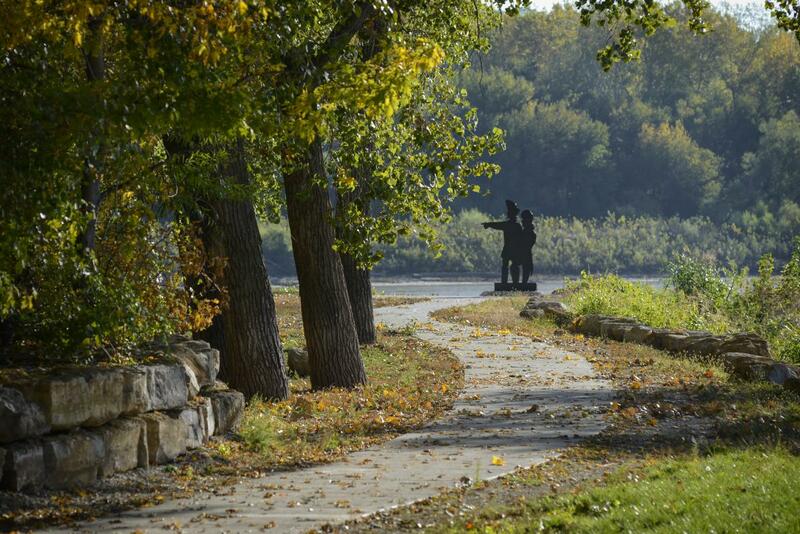 Near the confluence of the Kansas and Missouri rivers in Kansas City, Lewis and Clark Park at Kaw Point lets you walk where the famed explorers and crew camped for three days during their 1804 journey west. The 10-acre park offers wooded trails, wildflowers and wildlife, plus interpretive signs about the expedition. A natural rock amphitheater features limestone seats carved with the names of the 51 expedition members—including Seaman, Lewis’ Newfoundland dog. At Kaw Point, two soldiers on the trip got drunk and were court-martialed. Punishment was 100 lashes on the bare back for one, 50 for the other. Take a nostalgic tour on the Kansas Belle Dinner Train, which boards at the Baldwin City Depot and treats you to a multicourse meal and 1940s music along the Midland Railway line. For a more formal and romantic journey, book the three-hour Saturday evening run. For a slightly shorter, more family-friendly trip, choose the Sunday afternoon train. Four restored vintage dining cars, each with a distinct look and vibe, take you back to the railroad era. Add an onboard murder mystery, a World War II-style USO show or a melodrama. The first iron railroad track on Kansas soil was laid in 1860 at Elwood in Doniphan County. The locomotive Albany was brought over the river from St. Joseph, Missouri, on a ferry boat, and placed on the new railroad track. Sample the charms of late 1800s living in Old Prairie Town at Ward-Meade Historic Site in Topeka. Tour an 1854 replica log cabin, an 1870s Victorian prairie mansion and other historic buildings, or explore the 2½-acre botanical garden. From October 15 to March 15, dine from a period menu at a fireside table in Ward cabin. At the Potwin Drug Store, sit at the marble counter with a soda fountain treat. Or shop among the Mulvane General Store’s retro retail decor. Old Prairie Town includes an authentic one-room schoolhouse (with an outhouse), once a common sight in rural Kansas. The state still had nearly 8,000 of them in the early 1900s. 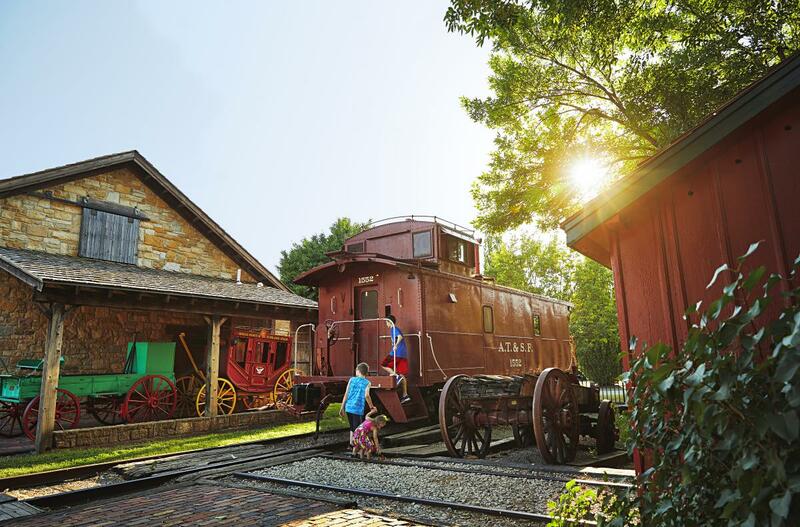 Click here for more historic and cultural sites and check out the 2019 Kansas Official Travel Guide for more travel ideas.